Wishing I was out a bit later by this field when the sun was out yesterday. When I went by it was overcast with thick clouds. But I stopped anyway and grabbed a few frames along Gorman Road when I saw that yellow. My better half is so patient with me. She allows me to have the delusion that I’m an amateur photographer. She is so sweet. 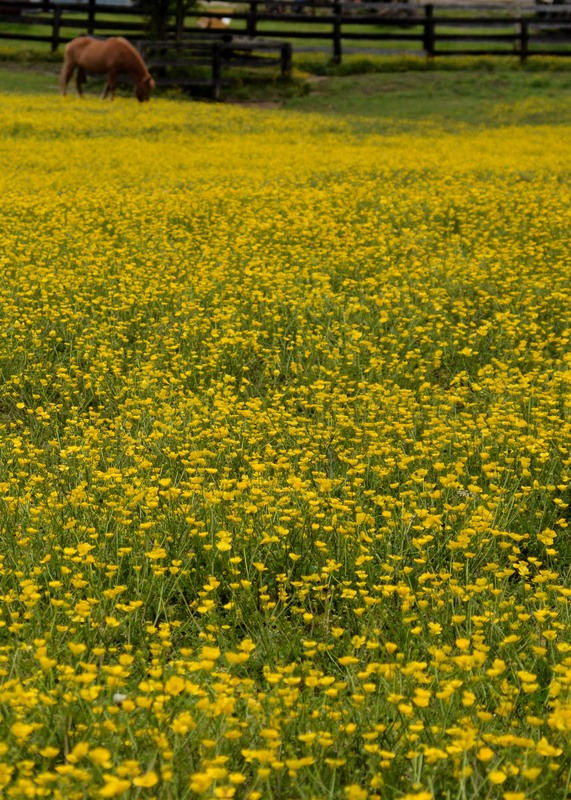 Sweeter than this field of buttercups. I wonder if the horse in the background is named Buttercup? But she just isn’t the sweetest thing. I’ve learned that she not only stuck with me through the (better and worse) part of the wedding vows. But over the last few years she has also shown that she has stuck by me in the (sickness and health) parts. That is a tough one for some people but she has been my rock. We are working on the richer and poorer parts. We got the poorer one out-of-the-way early in the relationship so were just working on the richer part. We certainly are rich in many areas but in $$ terms not so much so. Guess I should have gone out for that Powerball ticket earlier today. That just leaves us to till death do us part. And you know, that is the only thing that will take me from her side. Because I’ve heard a lot of people exchange vows. My wife has lived them and I love her for it. She sets a good example for the kids. And she tells me not to curse so much around them. See I told you she was sharp. So some early Sunday morning shooting planned if the body holds up. I’ve been reading and interacting with other bloggers recently. I find it rewarding but also time-consuming. But learning takes time. And I’m finding it worthwhile. It’s helping me find my path in what I’d like to do here and artistically. Happy Birthday Dad. Wishing we had more time together. Miss you. I can’t think of much else now because missing your parents on special days kind of stops other thoughts. 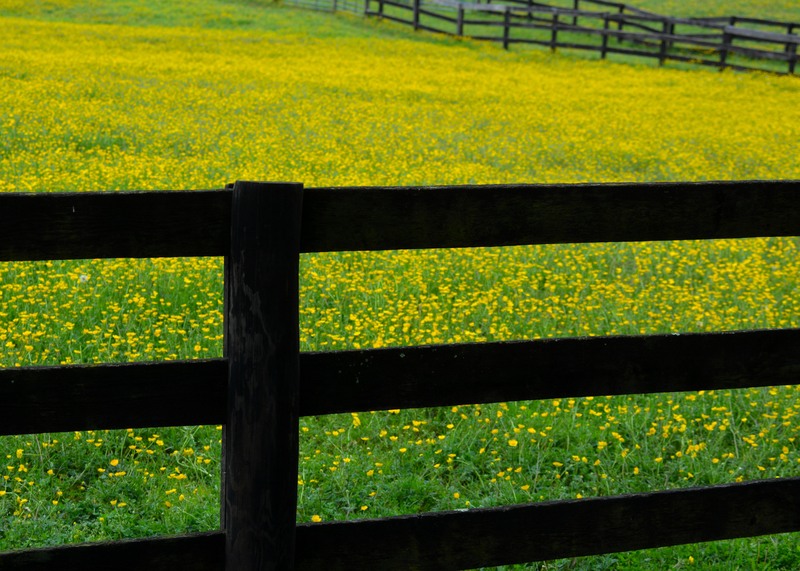 Love buttercup season. Our field is full of them also.